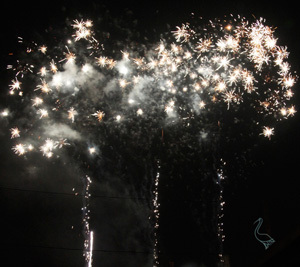 We had absolutely fabulous fireworks put on a display at our wedding on 10th August at Easthampstead Park - Wokingham. The display was outstanding and such a surprise to our guests! Every guest commented on what a magnificent display was put on and many said that the display was better than any they have ever been to! The staff were discreet and did not let the secret out what we had planned for our guests and ourselves! The best money I have ever spent and the fireworks were out of this world and the display lasted around 8-10 minutes! Truly an amazing company and if I ever need a fireworks display again this will be the company I use! Thank you for making our wedding day all the more extra special! We cannot thank you enough.